WoW Rise of Azshara is getting closer! Huge news for fans of the most popular MMORPG! The game-changing patch 8.2 – The Rise of Azshara is getting closer and we know what’s in it. Two brand new zones, a new raid, dungeon, and many more changes will arrive at the world of Azeroth. We don’t know the exact date yet, but as soon as it’s announced we will add it here. The patch is supposed to at the same time bring new locations to explore as well as some replayable content that will be fun and engaging even if you do it multiple times. 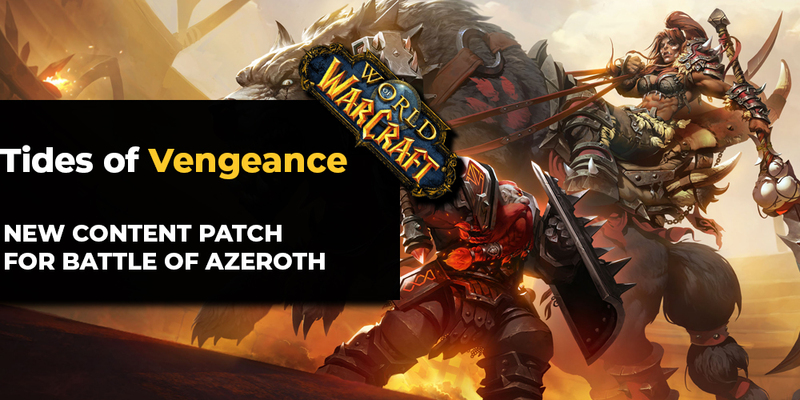 It will be the biggest patch in the history of WoW and is supposed to fix all the issues with Battle of Azeroth. One of the zones is called Nazjatar. It is a capital city of the empire of Naga, ruled by Queen Azshara. The city is located in a fissure in the ocean. It’s entirely surrounded by waterfalls. Nazjatar is placed below The Great Sea. The location won’t be entirely underwater, because it would cause the whole adventure much less enjoyable for the players, but there will be some swimming involved. Last time players didn’t exactly love the underwater combat, so finding the correct balance was crucial in designing Nazjatar. Furthermore, Ion Hazzikostas - the game director of World of Warcraft hinted that the phrase “Rise of Azshara” might turn out to be much more literal than most people expect. Maybe Azshara will try to elevate the city over the sea level? The location consists of a few subregions. Starting at the Ship Graveyard then going through Kelp Forests and Coral Forests, we will be able to get to the Boling Terraces and the Ruins of Zin’Azshari, the ancient elven city. Finally, the players will make their way to the Naga city and the Eternal Palace in the middle of it. That’s where they will have the opportunity to finally fight queen Azshara to stop her reign and destroy the empire. Obviously, there will be new story quests leading to the confrontation with Azshara. At the same time, the players will be able to interact with some new NPC friends. The Alliance will cooperate with the Deep Sea Tribe that has been almost eradicated by Naga. Meanwhile, the Horde will make friends with a group of misfits that were enslaved by Naga and now struggle to survive after breaking out. Both of those groups have some things in common. They hate Naga and want to take their revenge against them. The players will have the possibility to help them. Members of those groups will act as assistants that can be recruited and as the players become better friends with them, they will unlock new abilities. The main attraction of the Nazjatar patch is a brand new raid: Azshara’s Eternal Palace. 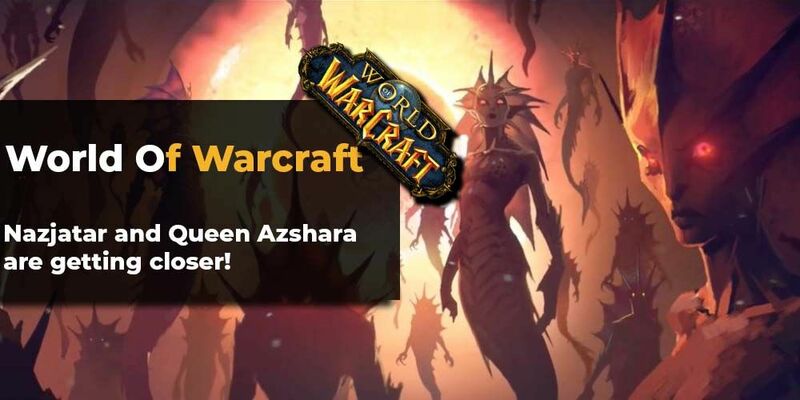 Blizzard announced that it will feature eight bosses, the final one being Queen Azshara herself. They also teased that one of the boss fights will take place underwater. The bad news is that the raid won’t launch at the same time as 8.2 will, players are going to have to wait for it a bit longer. There will be new rewards and collectible content in Nazjatar. Players will be able to acquire Naga-themed armor sets and weapons. The city under The Great Sea will introduce two new mounts, the sideways walking crab and a seahorse. Finally, there will be a Baby Naga battle pet. Another new location that players will be able to visit is called the Mechagon, which is an ancient lost city of Gnomes. There will be a possibility to meet the Junker Gnomes, a slightly less mechanized type of Mechagnomes with a very steampunk-like design. Players will see a new fascinating city of Gnomes, ruled by the king Mechagon himself. He created this robotic empire, forcing all the Gnomes to implant more and more mechanic parts into their bodies. As for the loot players will be able to earn all sorts of crafting materials, which can later be used to get cool mechanically themed rewards. The culmination of this zone is a new dungeon, the Mechagon Megadungeon. It will feature eight bosses, including the final face-off with the king Mechagon, piloting a giant robot. Similar in size to Karazhan, it will be much larger than most dungeons in World of Warcraft. At its release, Mechagon will be a mythic exclusive dungeon. 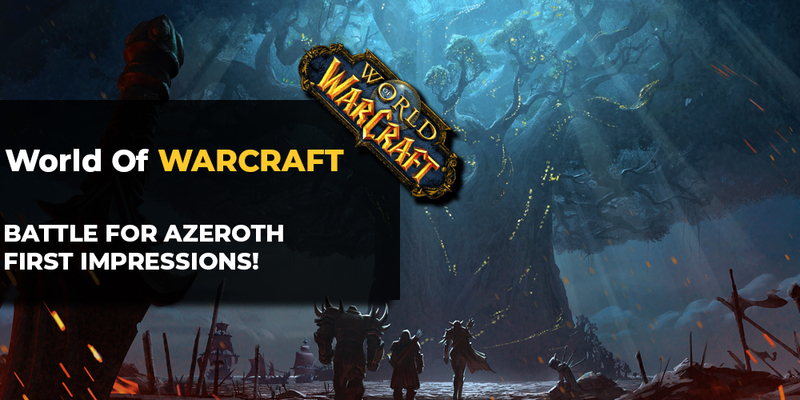 Which means that there will be high requirements to enter it and it will challenge even the most experienced WoW players. At the same time, there will be higher level item rewards as well as new pets and mounts. Similarly to Karazhan, it will later be divided into smaller segments available for players in mythic+. Players will start at the Junker Wastes, destroying numerous robotic servants of King Mechagon. Then they will use the trash compactor to bypass the security and get inside the city. Finally, they will break inside the king Mechagons lightning shrouded palace and face him in combat. There will, of course, also be some storyline progress. Alliance members will be most interested in continuing stories of Lady Jaina Proudmoore and the king Anduin Wrynn. At the same time, the Horde will get to know more about Sylvanas Windrunner and Varok Saurfang. 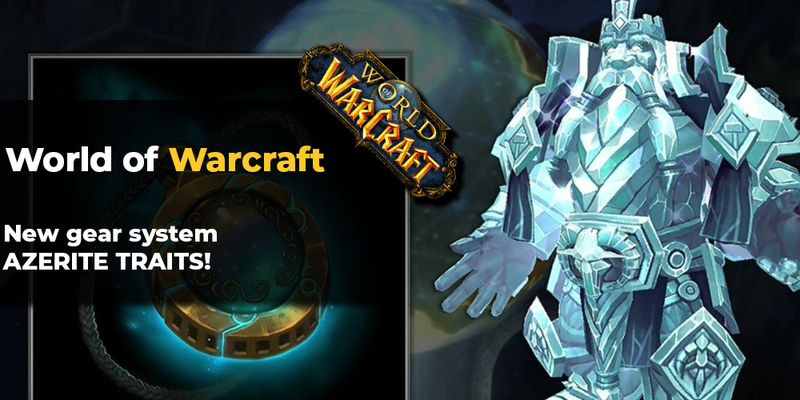 Players will also help Magni Bronzebeard in his efforts to heal the world. Alliance and the Horde will have mostly separate storylines in The Rise of Azshara. The alliance will be focused around the Stormsong Valley and they’ll get some information about Crucible of Storms. While the Horde will mostly advance their story in Uldir and Zandalar. Beyond the two captivating locations and all the content related to them, there will be some other changes in 8.2. Blizzard is improving some of the implemented systems and a beloved in-game mechanic will return. Some minor changes have also been announced. Furthermore, the 8.2 patches will also introduce new Heritage Armor for two races. For the Horde, the bovine humanoids Tauren will get one. For the Alliance, the small and technologically advanced Gnomes will receive it. With this and the release of Mechagon, the 8.2 will be a great patch for Gnome players. Another feature that will be a part of the Rise of Azshara will be two new Island Expeditions. One of them being Crestfall, old school players of the Warcraft series will remember it as the site of a huge battle, where Derek Proudmoore was killed. The other one is going to be called Snowblossom and it will mark the return of the Vermin known from the Valley of the Four Winds. There has also been some talk about changing the island expedition rules in World of Warcraft. It’s not yet confirmed, but the players may expect some more free exploration. At the same time, the islands might play an increasing role in some of the progressing storylines. Flying is back in WoW! By the way, flying is back! Pathfinder part 2 is going to arrive with the release of 8.2. There will also be some new flying mounts, like griffins, giant bees, and mechanical parrots. Developers hinted the possibility of flying in Nazjatar and Mechagon. Rise of Azshara will also bring some changes to the Warfronts. The patch will introduce the more difficult incarnation of them – Heroic Warfronts. They are supposed to be more strategically complex and there will be a real possibility of suffering defeat. Players will go as groups of 10-20 to fight new commanders and experience new mechanics as well as earn better rewards. There’s also some news about the Heart of Azeroth system. The requirements for traits won’t increase and players will be able to unlock all the traits when they get a new item. They will also get more choices and possibilities as they level up the Heart of Azeroth. At the same time, the players will get more freedom in adjusting their Azerite powers and actives to their liking. It’s definitely good news that Blizzard is looking into this system because at the moment most of the players believe that it’s failing to fill the hole left after the removal of artifacts. Such a significant content update might bring some balance changes. Blizzard is not leaking any of that information yet, so players can’t know exactly what to expect. We’re pretty sure there will be some buffs and nerfs though. As for PvP, the season 3 of Battle of Azeroth will begin during the 8.2 patch cycle. This season’s vicious mounts will be Basilisks. Rise of Azshara will also introduce the Mechagon Arena. There will also be an item level increase. To see some of this stuff in action, make sure you tune in to a Blizzard Rise of Azshara content preview stream. 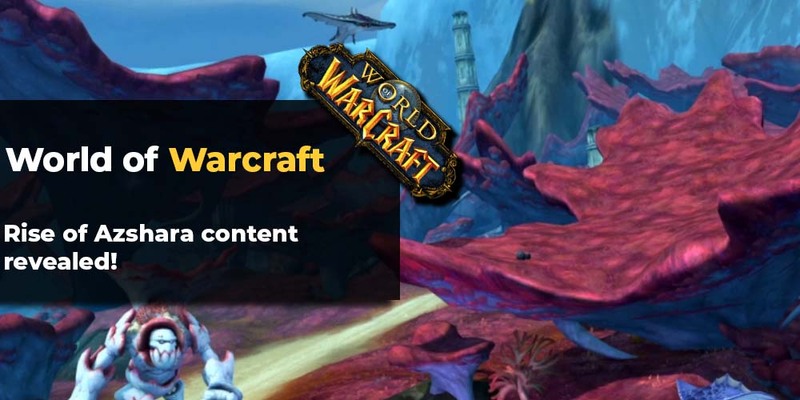 It will take place today (Thursday, April 11) at 11:00 PDT on Warcraft Twitch channel. There’s a lot to get excited about if you’re a World of Warcraft fan. There’s no 8.2 release date yet, but it’s going to PTR soon. The new locations definitely seem interesting. On one hand, we have the challenge of balancing the underwater and the lad elements in Nazjatar and the chance to face Azshara - one of the most threatening villains in Azeroth. On the other hand, we have the fascinating city of Mechagon with the plotline that will even borrow a little bit from the cyberpunk genre. After all, the Junker Gnomes are exiled for refusing to replace all their body parts with mechanical implants. Two great zones, a raid and a massive dungeon in combination with the improvements of the Heart of Azeroth system and some other changes certainly are a good thing. They might even turn out to be exactly what the game needs at this point in time.